Today we welcome author Patricia Wooster! Be sure to enter her giveaway for her book, IGNITE YOUR SPARK: DISCOVERING WHO YOU ARE FROM THE INSIDE OUT in the Rafflecopter at the end of this interview! Please tell us about yourself and how you came to write for teens? I feel like I've always been writing for teens. I started writing in journals in junior high. Every triumph, disaster, and problem went into those daily writings. In college I majored in Psychology and Creative Writing, but then took a break from writing for many years. I found my way back after I had my first baby who was quite the napper. Suddenly I had a lot of free time on my hands to be creative. I love writing for teens because it's such a great time for self-discovery, and the possibilities are endless. At the same time, being a teen is tough with social pressures, insecurities, expectations, etc.. My goal is to help answer some of those difficult questions, and to help parents better communicate with their teens. It’s our job as adults to acknowledge the issues our youth face are real and to open the lines of communication so they’ll come to us when they need help. 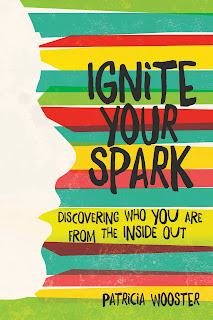 Congratulations on your forthcoming book, IGNITE YOUR SPARK: DISCOVERING WHO YOU ARE FROM THE INSIDE OUT. Tell us about this book and how it came about. Back in 2012 I was doing a couple of work-for-hire projects where I was interviewing successful young adults.The question that kept coming back to me was, How are these ordinary teens doing such extraordinary things? I decided I wanted to answer this question and decided to write Ignite Your Spark: Discovering Who You Are From the Inside Out. In the process, I got to talk to some of the most inspirational, interesting, and unique people I’ve every encountered. They aren’t all geniuses, rich, or in private schools, etc.. In fact, many of them started at a perceived disadvantage with learning disabilities, low income, or social problems at school. The common thread among these super-amazing young adults was their foundation for success was built with a strong sense of self-identity, determination, and grit. My book covers topics from relationships, self-image, and school to goals, failures, and willpower. I tried to make it fun too with quizzes, profiles, and activities where teens can take the time to get to know themselves better and identify the things that ignite their spark. Do you think any of the lessons from your book are applicable to writers and illustrators? I do think teen issues should be relevant to anyone who writes or illustrates for teens. With social media it’s very easy for youth to get a false idea of how their peers are feeling. Almost everyone has insecurities and problems, so by creating more works addressing these issues teens will not feel so alone. I have two boys ages 10 and 12, so they are on the fringe of my demographic. I’m not sure we’ve quite made it to the “focus” stage, but I have used what I’ve learned to expose them to new activities, create habits, and accept/learn from their failures. They’ve really embraced the idea of “building your tribe”, which is forming relationships with people who share their interests. Having different friendship groups is the greatest way for them to feel supported, fend off bullying, and be encouraged to pursue their passions. The youth interviews are really what ties everything together for them. It makes the information more relatable and is motivating to see how people their age are accomplishing things. What projects are you working on now? Any new books in the works? Right now I’m working on a 2nd book for this series called Ignite Your Image. It’s the same format with interviews, quizzes, research, and activities, but really drills down into how youth can form their own identity. Also, I’m trying my hand at writing young adult fiction. It’s a new challenge and a lot of fun. It’s such an exciting time to be a writer. The internet has taken a relatively solitary profession and created a community. Facebook has all kinds of groups you can join to network locally, find people writing in your genre, or even ask publishing questions. I’d pick a couple to join and get involved. Having said that, don’t let the internet become a distraction. Schedule your writing time first. Don’t worry about perfection. In the beginning, just focus on getting words on paper. Editing can fix it later. So many people get bogged down in the details that their story never gets told. If you want help with structure then check out a book like Save the Cat! by Blake Snyder, which is a screenwriting book many authors have used to help with creating a framework for their books. I’m using it now for my fiction series and I never struggle during my writing time. I’m a total introvert by nature. I spent the first half of my life shy and insecure. As soon as I stopped worrying about what other people thought about me I felt free to pursue my passions and be myself. My adult friends know me as a little sarcastic, slightly funny, and a terrible tennis player. My website where I have a ton of information and resources for parents and teens is www.patriciawooster.com. Teachers can download a free Common Core curriculum guide to use with Ignite Your Spark too. Patricia Wooster is a published author and fact-checker. She has written several nonfiction children’s books and was nominated for Science Books & Film Best Children’s Books of 2011. 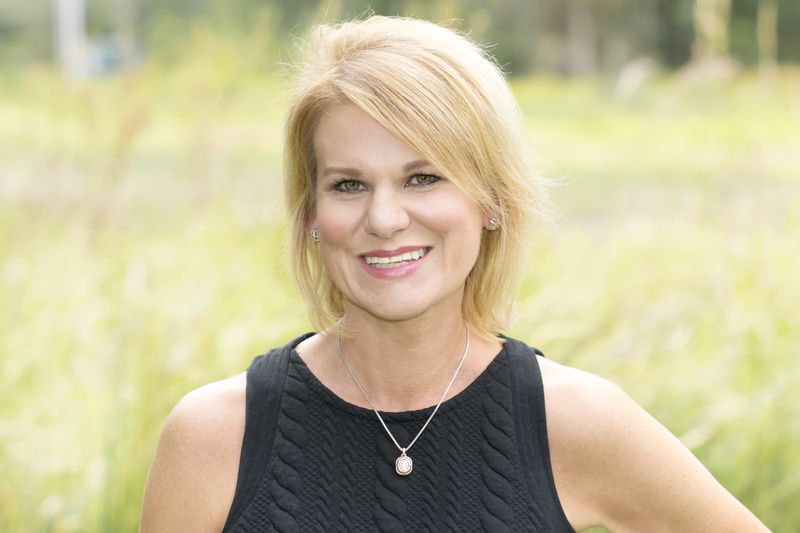 She lives in Tampa with her husband, Scot, two boys, Max and Jack, a devoted dog Lola. The teenage me needed this book! Thanks for sharing your journey. Thank you, Patricia for sharing. Congratulations on your inspiring book! My childhood sounds just like yours as far as my shyness keeping me from doing the things other kids were doing. But now, I've found more confidence and am not known as the quiet one any more. I would love to read this book and my daughter needs it very much. I'm glad you've found your voice! This book sounds like a great resource for teens. My 14-year old and 18-year old could benefit from it for sure. I wrote this book for my two kids. I tried to answer the questions I had at that age. This sounds great. Thanks for the interview and the giveaway. Yuo know, I like this conversation! Patricia Wooster is a great writer on my opinion! I want to read her more. For students I want to say there is a great helper polostudbook.org in essay writing. I am amazed, so deep thoughts from you and I totally support you. And I want to tell another thing. You know, some students can't write good an essay http://paidpaper.net/thesis-writing/ or research papers. And I don't see something bad if these students ask for the help writing services.